Writing a dating book and you are not married? - 150 books? In ONE year? Is that possible? Writing a dating book and you are not married? I read When God Writes Your Love Story before I read this one. I loved it. 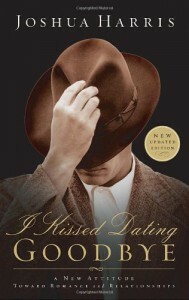 (See review here) I just could not get I kissed Dating Goodbye enough. For 1.) the author is not married. For 2.) His writing style was very dull. (at least his writing style was dull compared to When God Writes Your Love Story. I honestly could not get into IKDG. I am sure it is a good book because I see it often but I just could not get into it. His writing style is not for me. And I think the thing that through me off the most was the fact that he had never experienced marriage before(and possible never dating/courting) So this book has gone onto my Frogged shelf. I am sorry I just could not finish it. When God Writes Your Love Story is a much much much better book!